You're no flooring expert, but common sense dictates your bathroom flooring should be resistant to water. Since your feet will often be bare as you walk on it, comfort counts, too. Because you spend a fair amount of time in this room even on days when you're in a hurry, the flooring should be durable. As a bonus, it would be nice if it were colorful and stylish yet easy to care for. Your standards might be high, but you're smart to define your objectives for a new bathroom floor. Doing so will help narrow the most logical choices and expedite your decision. To satisfy your objectives, your best flooring choices include vinyl, linoleum, ceramic and cork. Why vinyl makes sense for a bathroom: It's easy to diss the vinyl of yesteryear. It didn't look great, though it did feel that way underfoot. Today's vinyl comes in so many colors and patterns that you can almost always find what you’re looking for. Vinyl is practically indestructible to scratches and dents, and it's low maintenance and affordable, too. The only proviso? Make sure you choose sheet vinyl rather than vinyl squares because the seams will encourage water seepage and, eventually, undermine the integrity of the floor. Why linoleum makes sense for a bathroom: Linoleum is often mistaken for vinyl (as well as the other way around). 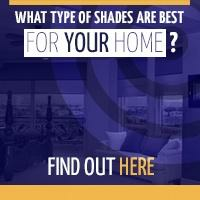 They look similar, insulate sound well, feel soft underfoot and are easy to maintain. The major difference? Linoleum is a natural product made from biodegradable materials, including linseed oil, wood, cork flours and tree resin. (Vinyl is a synthetic material.) 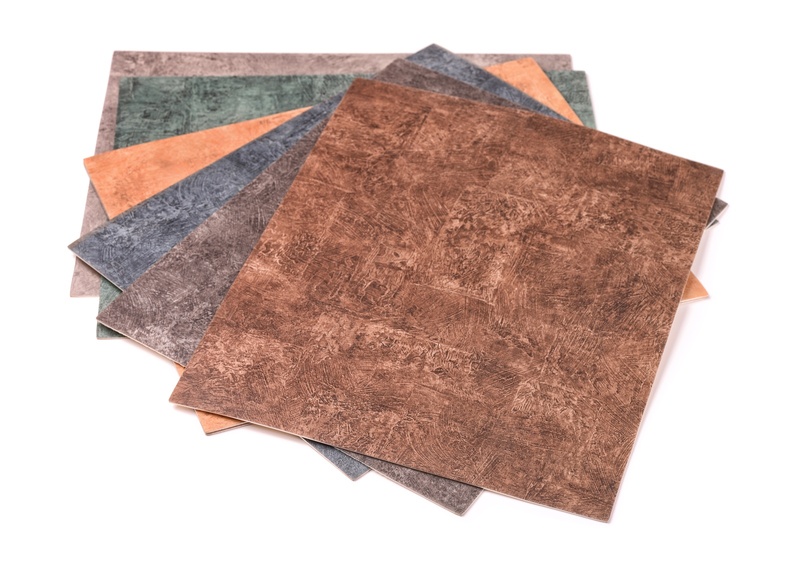 This distinction makes linoleum even more durable and long-lasting. The colors and patterns are embedded into the structure whereas with vinyl, the colors and patterns are merely printed on the surface and covered with urethane. 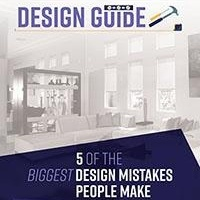 Why ceramic makes sense for a bathroom: You can make a strong case for ceramic in any room but especially a bathroom; its simple elegance can make cramped bathrooms seem grand and large and spa-like bathrooms seem even statelier. The beauty of ceramic is enhanced by colors in every hue, in both solid and variegated shades for greater visual appeal. It helps to think of ceramic as a long-term investment because it isn't inexpensive. Ensure it goes the distance safely by choosing textured surfaces or tiles 4-by-4-inches or smaller; the additional grout lines will give ceramic added traction. Why cork makes sense for a bathroom: Walk on cork just once and see how long it takes you to say “sold.” It’s warm, cushiony sensation belies its toughness and durability, as long as it is resealed every two or three years. Cork also is superb at absorbing moisture – and sound. Lest you think your color "choice" is limited to medium brown, cork will pleasantly surprise you. 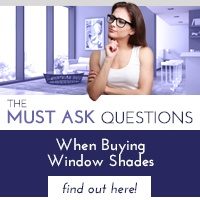 It is available in a wide variety of earth colors. Natural light will enhance any flooring choice – as long as you ensure the right amount of light shines on it in the first place. 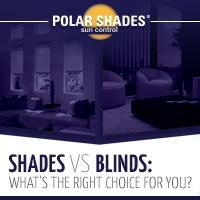 Call the window experts at Polar Shades at 702-260-6110 and schedule a free in-home consultation and see how Polar Shades can match your objectives for a window treatment – all while exceeding your expectations.